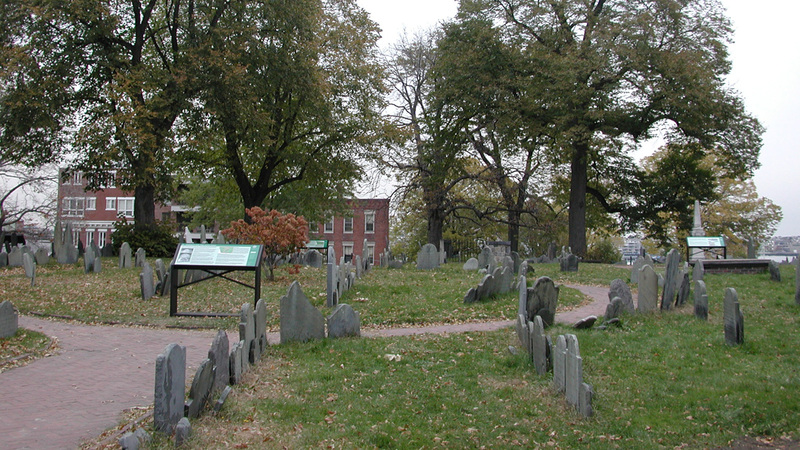 Located in Boston’s North End neighborhood, this irregularly-shaped cemetery occupies the third-highest hill in Boston. 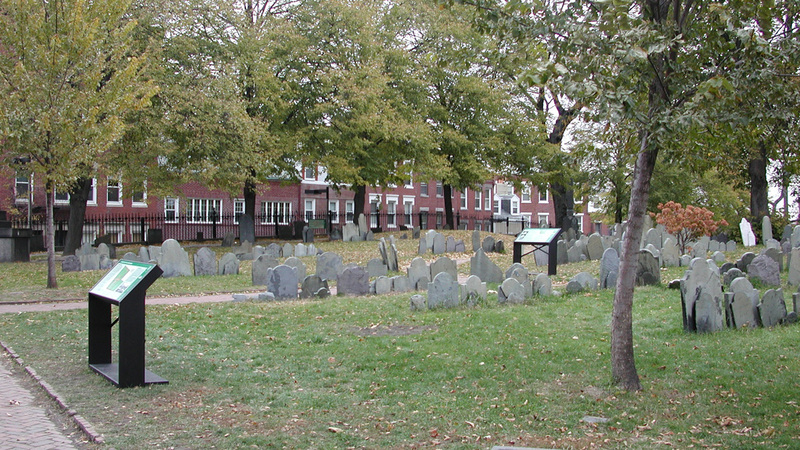 Laid out in 1659 and originally called North Burying Ground, it is the second-oldest place of interment on the Boston peninsula. 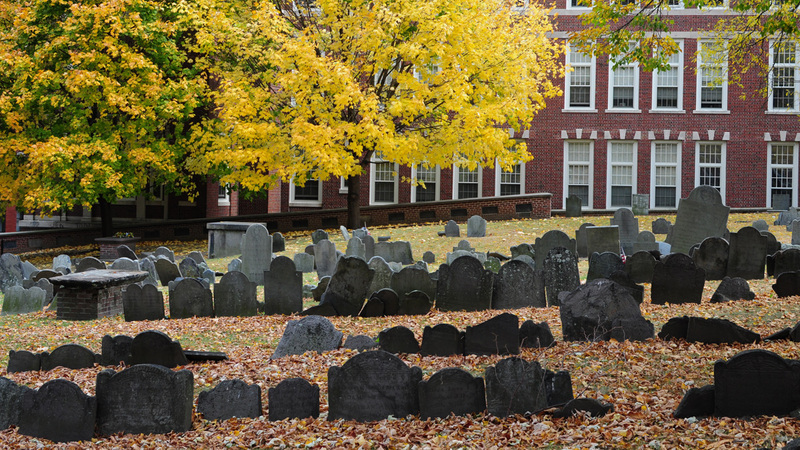 Re-named for William Copp, an early settler, the site was used as a burying ground into the 1850s. 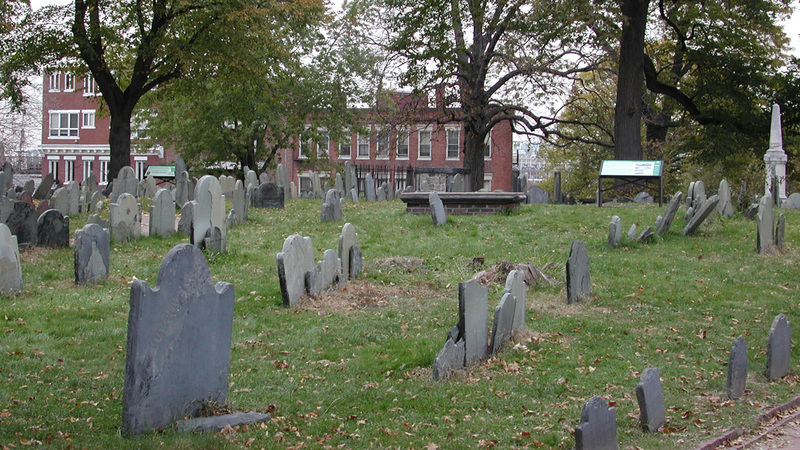 More than 10,000 people are buried in the cemetery, including approximately 1,000 emancipated or enslaved persons, many in unmarked graves near the foot of the hill. 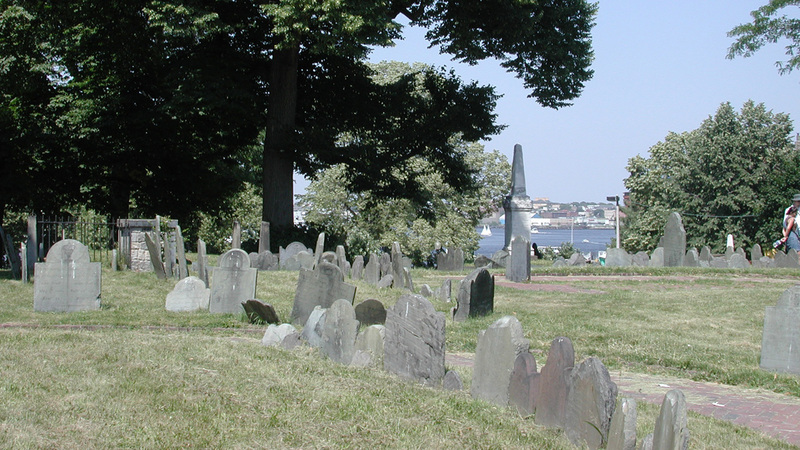 During the Revolutionary War the site held strategic importance for its elevated location overlooking Boston Harbor and the Charles River. The grounds, measuring just over two acres, are enclosed by brick walls, capped with stone coping and wrought iron fencing. 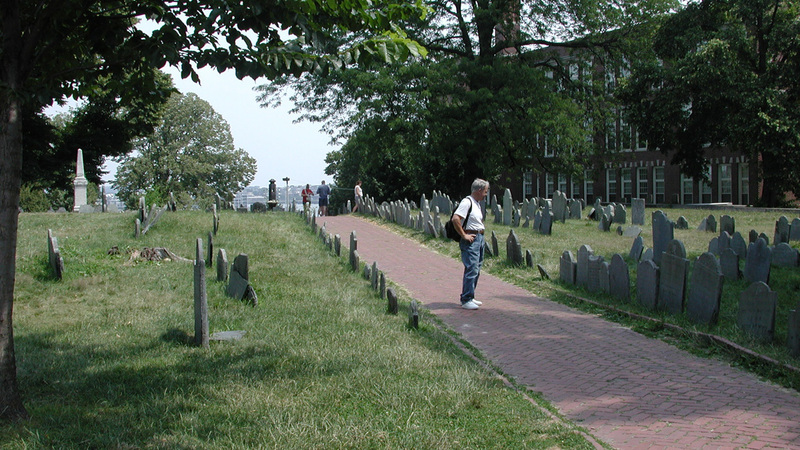 The cemetery is accessed from the surrounding street level by stairs that connect to an internal brick-paved pathway system. 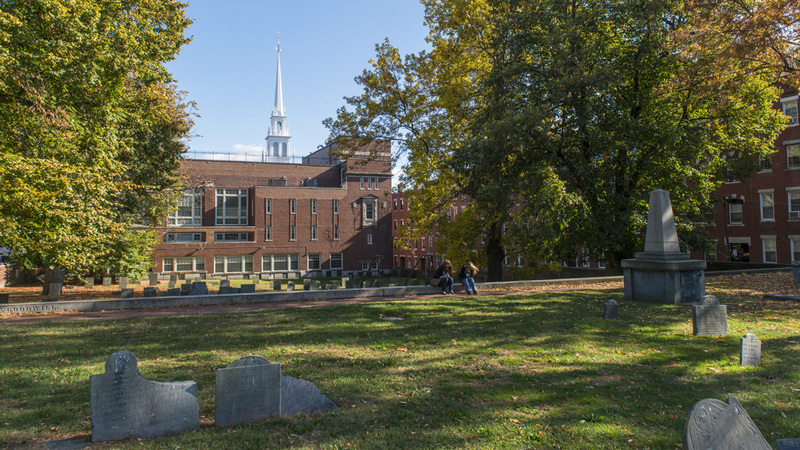 Deciduous trees line the burial ground’s perimeter and interior path network, providing shade and screening from adjacent buildings and streets. 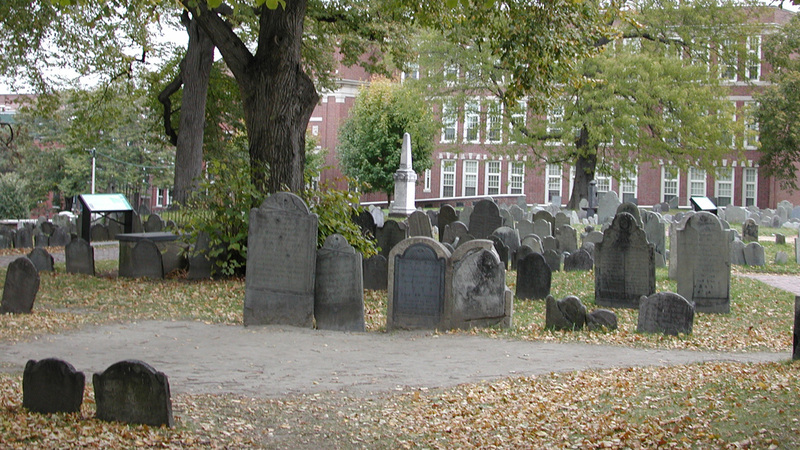 The grave markers are arranged in rows that parallel the property boundaries or internal pathways. 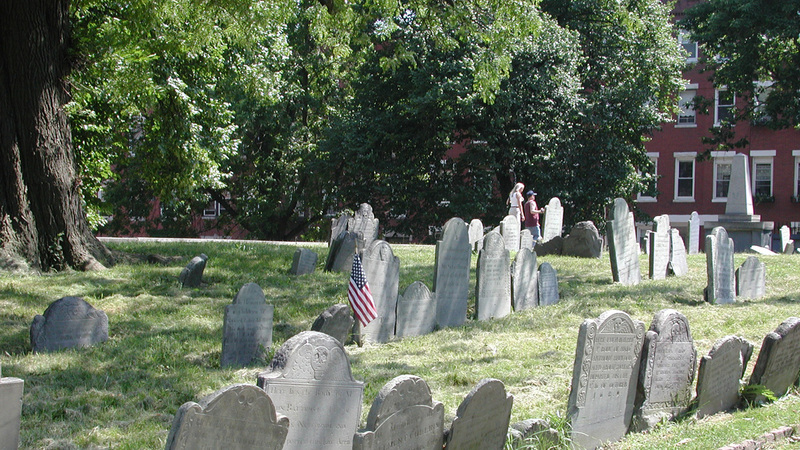 In addition to the marked graves, the grounds contain 272 aboveground tombs, most with legible inscriptions. 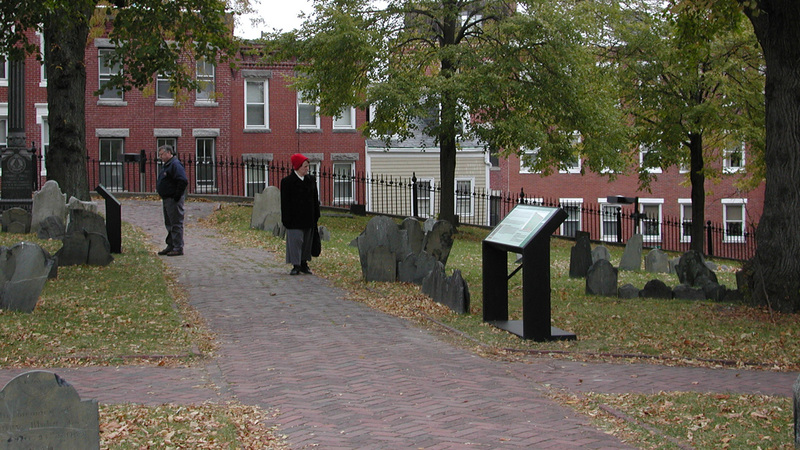 Copp’s Hill Burying Ground is featured on the Freedom Trail for its association with the Revolutionary War. It was listed in the National Register of Historic Places in 1974.